You’ve surely heard of the Apple iPod nano. This iPod comes in nine fun and sleek colors, is loaded with features and is just as much of a fashion accessory for both males and females as it is an amazing player. Let’s take a good look at the Apple iPod nano to get a clear picture on exactly what this player offers, what the specs are, the features and functions and if this device is user friendly, offering you what you expect. 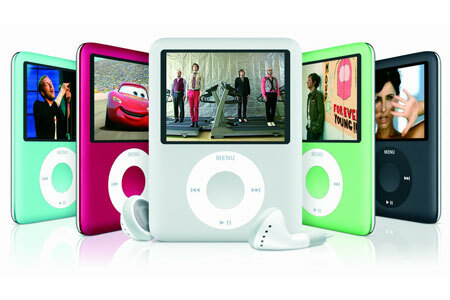 With so many players to choose from, let’s see if the Apple iPod nano is the one for you. 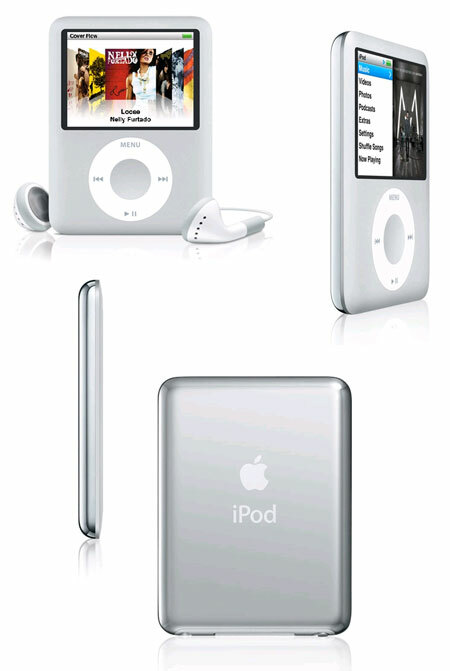 To find out just what the Apple iPod nano offers you, let’s first take a look at the specifications of this device. Size and weight are very important to users, just as much as the actual features, so you can decide if the weight of 1.3 ounces and a measurement of 3.6 inches by 1.5 inches by .24 of an inch are what you are looking for. Display is very important too, it not only matters what is inside of a player, but we want to be able to show off our device with a great display. The screen is a two inch LCD display and has a blue white LED backlight to it. The resolution is very good, as 320 by 240 pixels. Now, let’s talk about the capabilities and storage of the Apple iPod nano. You can choose either an 8GB or a 16 GB flash drive. It will then hold either two thousand songs or four thousand songs, certainly enough for even the biggest music lover. With these options it will then hold either seven thousand or fourteen thousand photos and it will store either eight or sixteen hours of video. iPod Battery and what you will have for power is vital as well. The Apple iPod nano has a built in rechargeable ion battery. When fully charges it will allow you up to twenty-four hours of music play and up to four hours of video play. It charges rather quickly, via the USB to computer method. Alternatively, you may wish to separately purchase a power adapter to charge it. When charging on the computer, it will take about one and a half hours to do a fast charge, which give you about eighty percent of power. If you opt to do a standard full charge, it will take only about three hours to go from dead to fully charged and have you up and running again. Now, you may be wondering about computer system requirements. Many people falsely think that they must have a Mac to be compatible with an Apple iPod, but this is not the case. 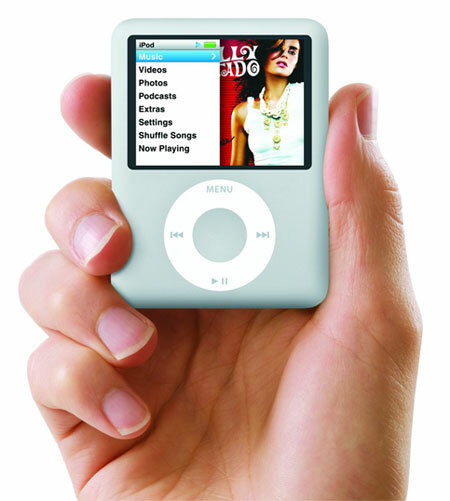 The Apple iPod nano is compatible with a Mac computer with a standard 2.0 USB port that has Mac OS version 10.4.00 or later and iTunes 8 or later. If you have a PC, it is compatible with a standard 2.0 USB port and you will need to have Windows Vista, Windows XP Home or the Windows Professional with Service Pack 3. As with the Mac, you will also want to have iTunes 8 or later. When you get a nano, you will have your choice of nice colors and also have a set of earphones, a USB cable, a dock adapter and a guide. This device can actually “think” on its own, and create playlists for you by choosing songs from your playlist that go well together. Just give it a quick shake and it brings you to another song in your library. When you flip it to its side, the screen view goes with you. Finding songs is easy, as it has the great feature of album art that flows by and you simply stop it when you see the one you want. And did we mention that the nano plays games? It comes preloaded with a game called Maze and there are many other that you can download from the iTunes store.